As You sent me into the world, I am sending them into the world, and I consecrate myself to meet their need for growth in truth and holiness. I am not praying for these alone, but also for the future believers who will come to me because of the testimony of these. My prayer for all of them is that they will be of one heart. Rooted in the belief that all persons participate in Christ’s continued mission in the world, Dominican Sisters of Amityville, as a Congregation, seek to share that mission of bringing the reign of God to fulfillment. 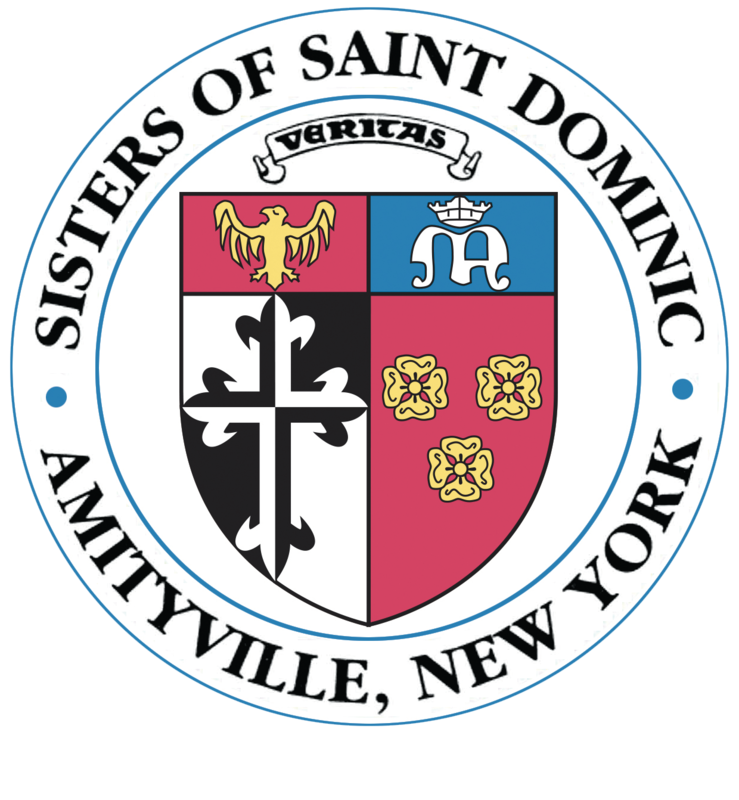 Dominic recognized the needs of his age and commissioned his followers to proclaim the truth, the Dominican Sisters of Amityville continue to respond to each age as it unfolds, committing themselves to an active­contemplative life that proclaims God’s reign. In striving to build up God’s reign in the community of the world, the Dominican Sister of Amityville reaches out to share her faith experience with others. Sustained by the strength gained from the unity experienced in community, she labors to promote human dignity, to alleviate social ills, and ultimately to achieve oneness in the Spirit of God. As members of the Dominican Congregation of the Holy Cross, we are active contemplatives, vowed and bonded members, sharing a variety of gifts and culture. As prophetic witnesses in collaboration with others, we will call the Church, the society, and ourselves to credibility. We will be responsible members of the universe. We will promote the dignity of marginalized persons. We will reject violence in ourselves and in society in order that all generations will grow and cherish life. With the world as our frontier, we are open to the Spirit working through all creation. We will engage in our corporate ministry of preaching/teaching in creative ways within Church structures and in other frameworks. Like Dominic, we are itinerants striving to bring the reign of God to fulfillment. As members of the Worldwide Order of Preachers, the Sisters live according to the Four Pillars of Dominican Tradition: Prayer, Ministry, Community and Study. The four pillars are a daily witness to the Gospel of Jesus Christ. As daughters of St. Dominic, the Sisters live among God’s people sharing hope and joy as Dominic did in the thirteenth century, striving to live in a way that calls others to know, love and follow our brother Jesus.